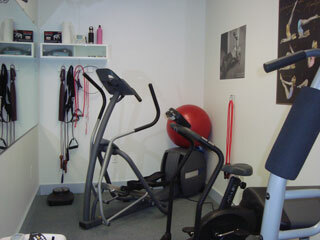 Our mini fitness room is on the first floor and features an elliptical, stationary bike, small universal, free weights and other assorted exercise accouterments. 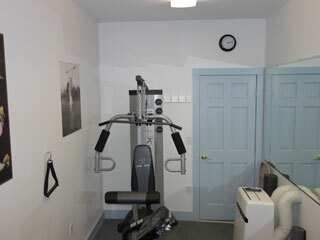 A wall mounted TV, large wall mirror and an air conditioner add to your enjoyment. 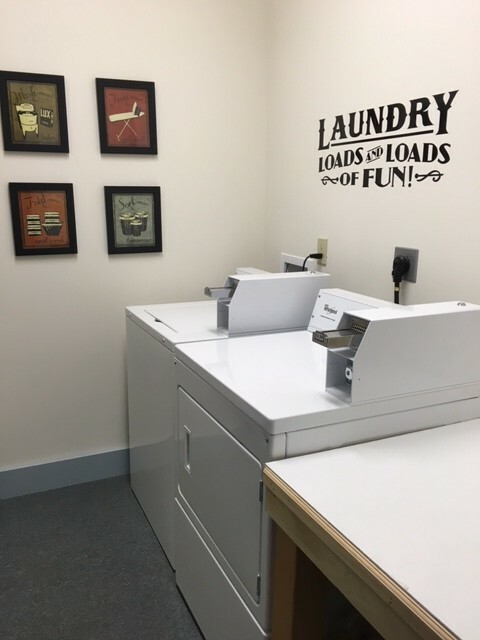 For our guests’ convenience, we have a full-size, coin-operated washer and dryer on the first floor. Fabric softener sheets and detergent are available for purchase via a vending machine in the laundry room.